Note: A friend expressed concern and mentioned that, in the U.S., people only have MRIs if something is seriously wrong. 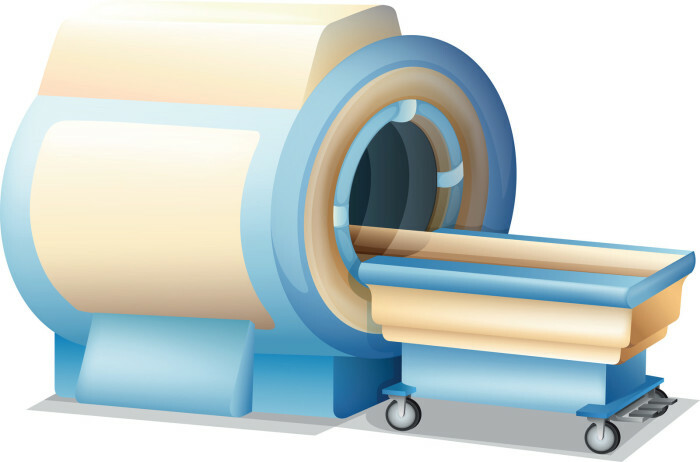 In Canada, MRI is sometimes used in place of other screening technologies; this was just a checkup. Ok, I admit, this is a bit of a departure from the whole nature and walking thing. Bear with me. I had an MRI today. If you’ve never had one, it’s a giant circular magnet that looks remarkably like how you might imagine an alien testing site. A person lies on a platform in the middle, and the ring is moved over the area to be scanned. The machine then takes thousands of pictures, at different frequencies, to show what’s happening in a given area of the body. Because the images have to stack up precisely, one of the most important factors is that the person inside remain completely still—no movement at all—for the duration. In my case, that was to be 20 minutes. I asked the technician whether the subtle movement created by breathing would be an issue. “No” she said, and then, with a slightly alarmed face that suggested this might have happened before, she said, “Keep breathing. Whatever happens, don’t stop breathing.” I had to laugh (and so did she), but it gave me the idea that maybe I could actually meditate inside the scanner. As I lay down on the platform, the technician asked what kind of music I’d like to listen to. I really wanted to ask if she had any meditation music, but I went with classical instead. She positioned me precisely, then told me not to move (stillness!) and placed enormous headphones over my ears. A piano sonata began streaming through; I closed my eyes (which helped me pretend I wasn’t surrounded by a huge metal magnet) and began focusing on my breath. Rise, fall. Rise, fall. It was…surprisingly like meditation. Quiet. It’s not loud at all, I thought. And then she turned the machine on. The piano sonata was completely drowned out by the sounds of the machine. The sounds were rhythmic. And there were different tones. I began paying attention to sounds, and I continued to focus on the breath, rotating with focusing on the sensations in my (very, very still) hands and feet. Every two or three minutes, the machine would turn off (silence! Piano music!) And then it would start again with a different sounds in a different pattern (I later learned that these were the different image frequencies). I let myself become fascinated by the qualities of sounds, tones and patterns. Another sounded like a conversation between machines, with one pattern of sounds on the right and a brief echo, as if the machine on the left were noting a confirmation. Breath. Hands. Feet. Breath. Sounds. My mind wandered, of course, including to “How can I make sure I remember all this?” I just kept bringing it back to the sensations. About 15 minutes in, my nose began itching. Of course. When I’m meditating outside a giant metal tube, I usually make a note, then scratch my nose anyway. But this time, I had no choice but to accept it, to notice it, to focus on the breath and remember that everything passes. (Admittedly, I really hoped this itch would pass quickly), and in the meantime, I focused on feeling my feet. Next time I start thinking, “Oh, I don’t have time to meditate,” (so…tomorrow probably) or I start thinking about waiting until I can meditate outside on a sunny day, I’m going to remind myself of this post. It’s really possible to meditate anywhere, any time. Or maybe, even, to turn life into a meditation.